Seattle quarterback Russell Wilson once again will make an appearance with the Texas Rangers in spring training. 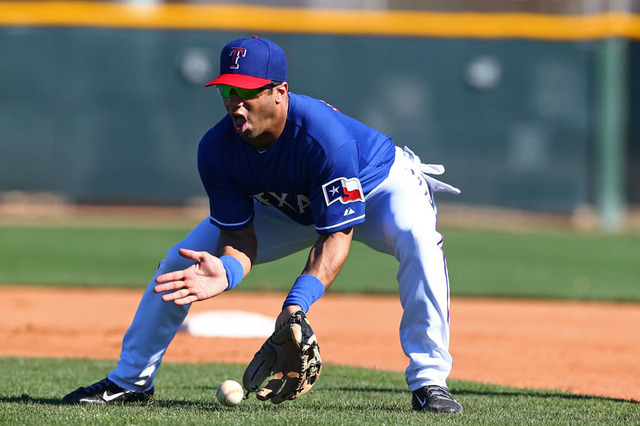 Wilson, who is on the Rangers’ Triple-A roster, took grounders last season in the spring. Texas selected Wilson in the minor-league portion of the 2013 Rule 5 draft. Wilson has not played baseball since 2011. He compiled a .228 batting average playing second base with a Colorado Rockies’ Tri-City Dust Devils in Class A.
Wilson also was drafted by the Baltimore Orioles out of high school. Rangers pitchers and catchers are set to report on Feb. 20.